I am a creature of comfort and stability. When I don’t have those things is when I feel most stressed or anxious. Dating is neither of those things I crave and usually causes me to be extremely anxious. The other day I had a “date” (I’m using quotations because looking back, it wasn’t but that’s a story for another time.) Three hours before the “date,” I had an urge to make an apple pie. I had fresh apples in my refrigerator from a local orchard and for some reason a pie is what I decided to make. Now, I rarely make pies in my house let alone a whole pie. I really had no idea why I made this pie other than I wanted my house to smell amazing. So I made this pie and then went on the “date” which turned out to be one of the most awkward and uncomfortable dates of my life. What’s worse: I was actually excited because the guy and I seemed to have a bunch in common but in the end (end being 9:00), it was bad. So I came home, poured myself a glass (maybe a bottle) of wine, and felt discouraged. That is until I realized I baked myself a pie not six hours earlier. 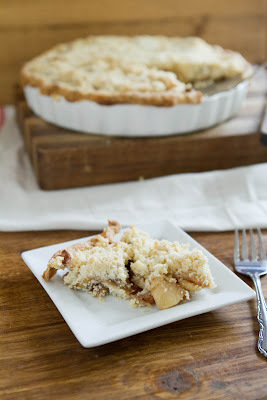 This apple pie was truly the meaning of comfort food and one slice instantly made me feel better. While I am sure there will be many more crappy dates, I am also sure there will be delicious baked goods to comfort me. Turns out I must of known this would go poorly and decided to offset it with pie! To make topping, combine sugar and flour together. Cut butter into flour/sugar until the topping looks like crumbs and butter is blended in. 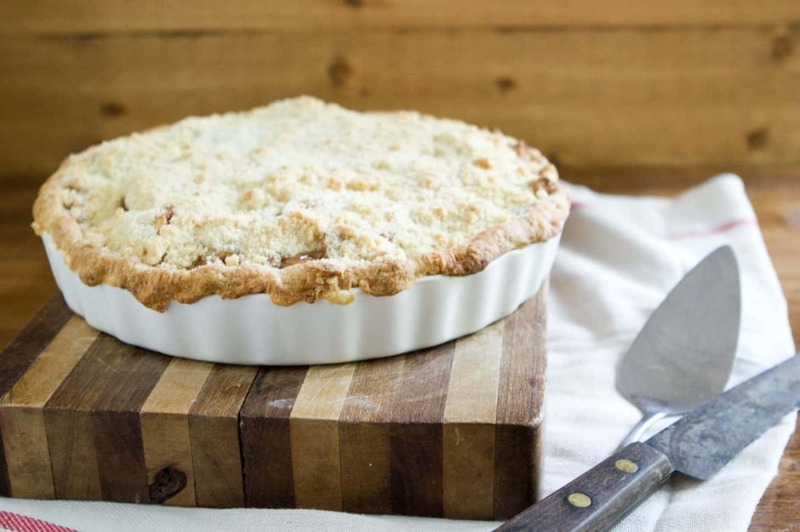 To assemble pie, pour filling into pie shell and sprinkle topping evenly over the filling. Bake for 45-55 minutes or until the top has browned and the apple filling in bubbling out the sides. Dating. Ug. At least the pie went well. This looks amazing! Good thing you had such fantastic pie waiting for you! 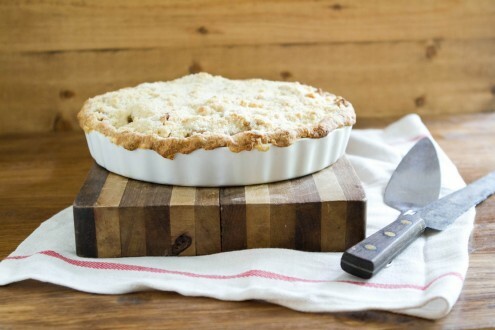 But: you did have a wonderful apple pie to come home to, it looks wonderful and comforting. Just what you need after such a night, right?! Love those peelers. Not a big fan of the suction cups though. I prefer the clamp. I didn’t even know clamp ones existed- I’ve only ever seen the suction ones! Fresh baked apple pie seems like the perfect way to comfort a horrible date to me! Sorry your date sucked. But glad you had this pie to make it better! Thank you Erin!This looks amazing!